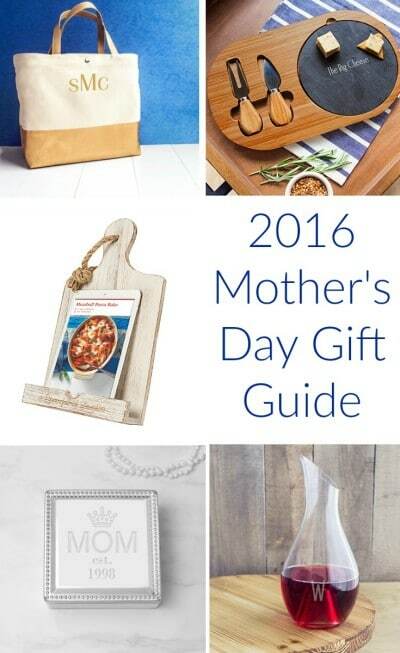 Looking for the perfect gift to thank your mom for all she does? 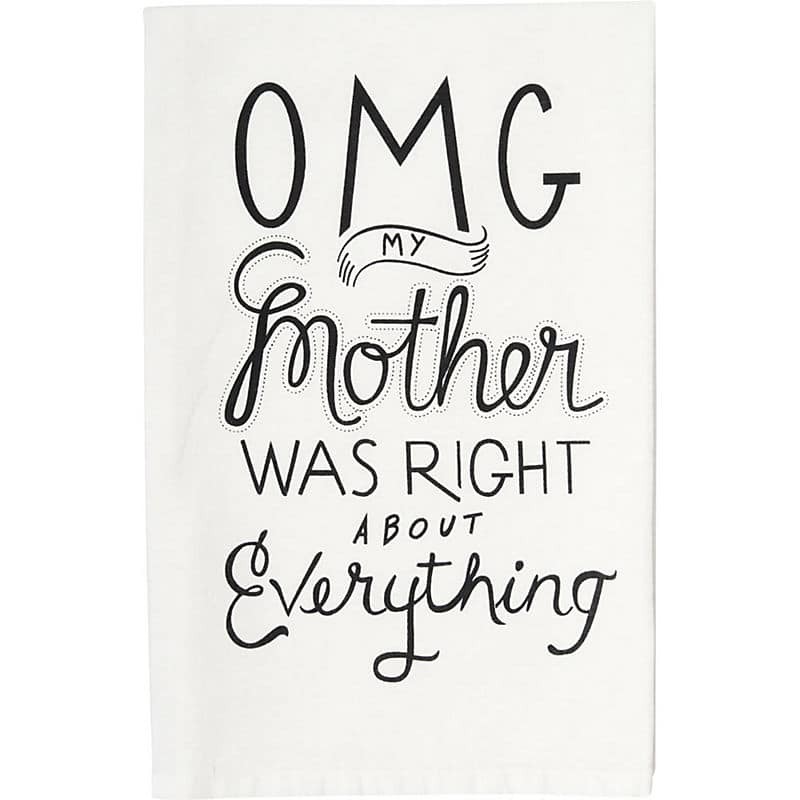 Treat her right with one of these 11 Mother’s Day gift ideas for moms of all ages. If she’s into a little bling, she’ll love this metallic color dipped tote, which includes her personalized initials, monogram or name. Available in gold or silver, this roomy tote is perfect for use as a diaper bag or schlepping all her daily essentials to work or around town. Get it for $39.95. Is she always touting the benefits of lemon water in the morning? Help her punch up her hydration game with this classic and useful all-in-one bedside water carafe and glass combo set featuring her engraved initial. The 6-ounce drinking glass acts as a handy lid for the pitcher to keep water dust-free. Get it for $39.95. 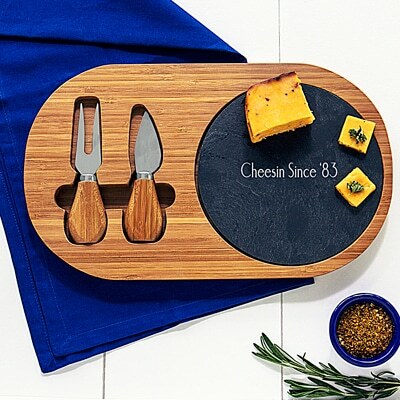 If she’s a (wine and) cheese lover or frequently entertains friends and family, she’ll enjoy using this Personalized Bamboo & Slate Cheese Board Set again and again. The set includes a natural bamboo board, slate insert and two utensils for cutting and serving. The removable slate insert is engraved with an initial, custom name or message. Get it for $49.95. 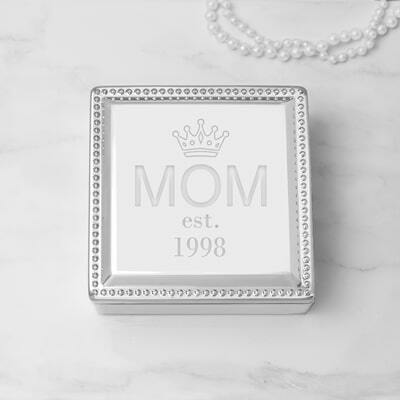 Fit for any queen of the roost, jewelry-lovers will enjoy this Mother’s Day Silver Square Jewelry Box featuring an engraved outline of a crown, the word “MOM” and “year established.” The velvet-lined, 4.5- by 4.5-inch box makes an ideal stash spot for rings, earrings, bracelets and necklaces. Get it for $34.95. 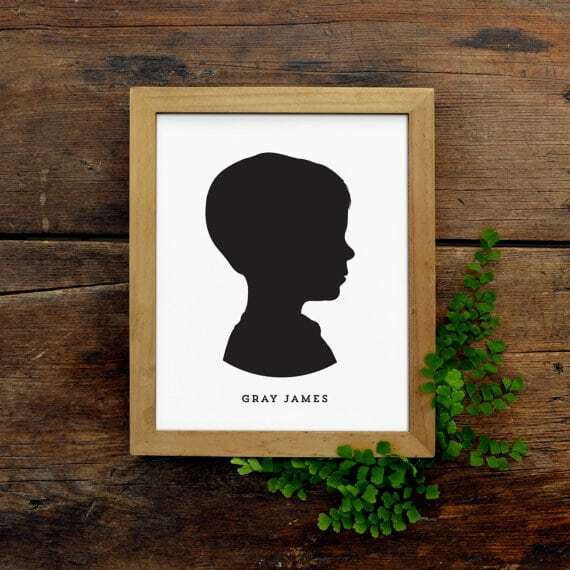 This personalized portrait, which features a child’s silhouette in profile with his or her name beneath in a choice of colors, makes an excellent Mother’s Day gift for moms and grandmothers. Created from your photo, the illustration is available a high-resolution file for unlimited printing. Get it for $22. Whether she’s out at the tailgate for the big game or the kids’ soccer games, this Personalized Tailgate Picnic Blanket comes in handy for any outdoor outing. It features a water resistant backing, an attached handle for travel, Velcro for a sturdy hold when folded within itself, and a zipped storage pocket. Get it for $37.95. 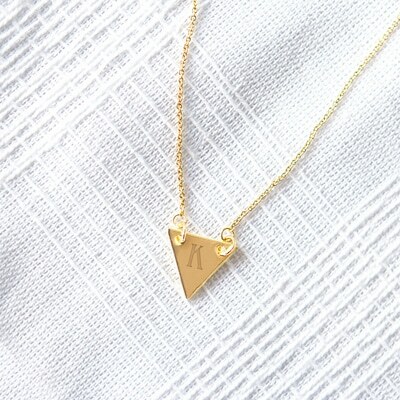 This modern Personalized Triangle Pendant Necklace with an engraved single initial makes a great gift for moms who love simple, delicate jewelry for everyday. Available in gold or silver, the light metal chain can extend up to 18.75” long. Get it for $33.95. Whether she prefers white, red or rose, this modern wine decanter with an engraved single initial is perfect for wine lovers. The beautifully designed decanter, which features a built-in aerator for a smooth pour, holds 30 ounces. Get it for $34.95. Great for moms who love to cook, this Personalized Wooden iPad Stand is designed to hold and display an iPad or recipe book. It features an engraved single initial or line of text and a twine rope for hanging. Available in white or brown rustic wood finishes. Get it for $52.95. It’s time to go ahead and level with mom. She was right — about, well, everything! She’ll get a good laugh every time she sees this humorous tea towel hanging in the kitchen. Get it for $7.95. Perfect for taking along for a day out at theater in the park, a summer concert or a date with dad, this handy picnic set includes a cooler for food and drinks, along with two cloth napkins, two stainless steel knife and fork sets, two acrylic wine glasses, a wooden cheese board, a cheese knife and a wine bottle opener. Available in navy or red, the cooler is personalized with a single initial. Get it for $57.95. Which of these Mother’s Day gift ideas would be ideal for your mom? Tell us in the comment section below.